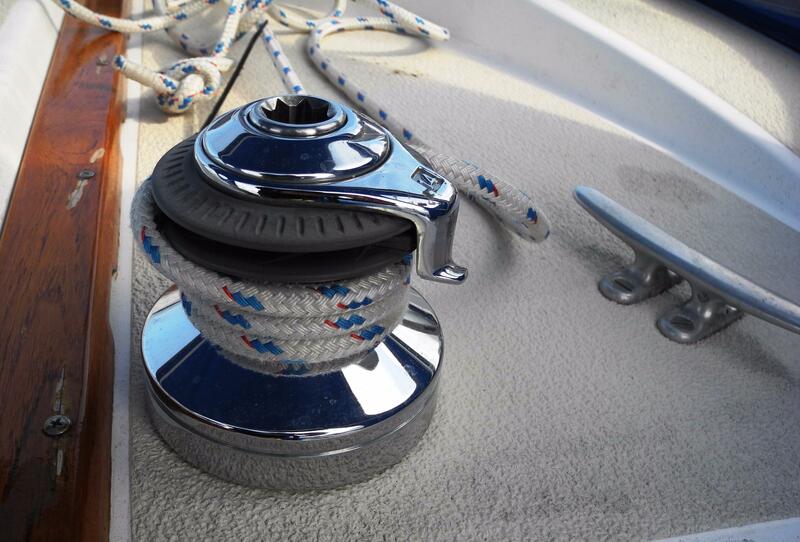 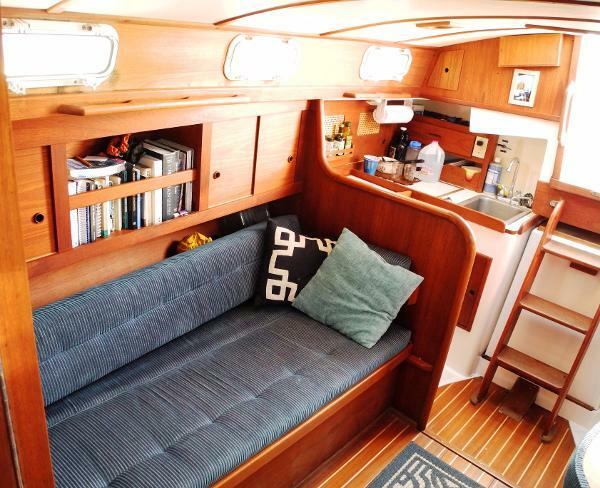 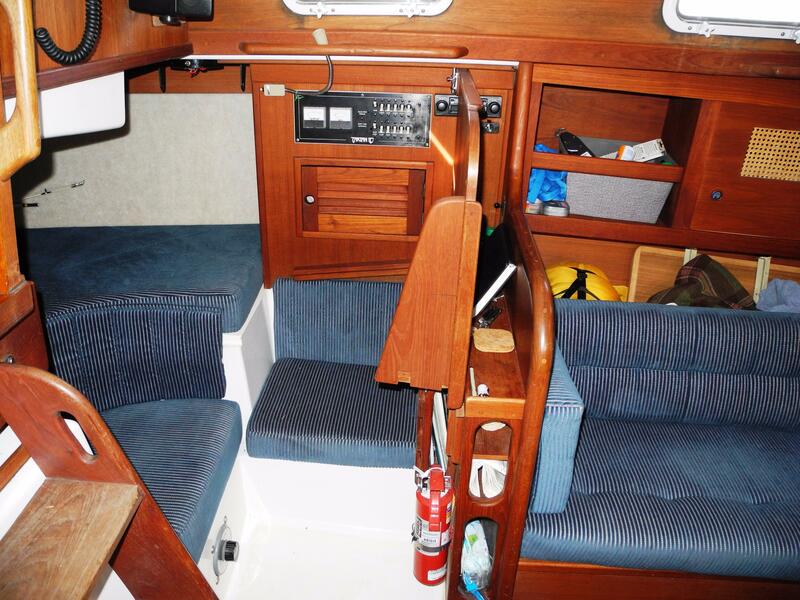 Below deck, you will find solid teak in an interior that is light and airy. 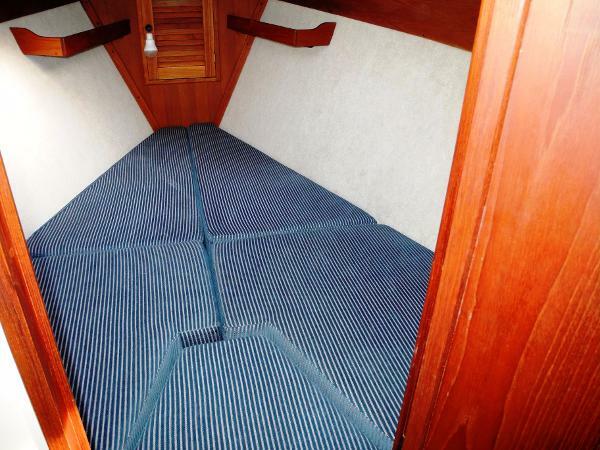 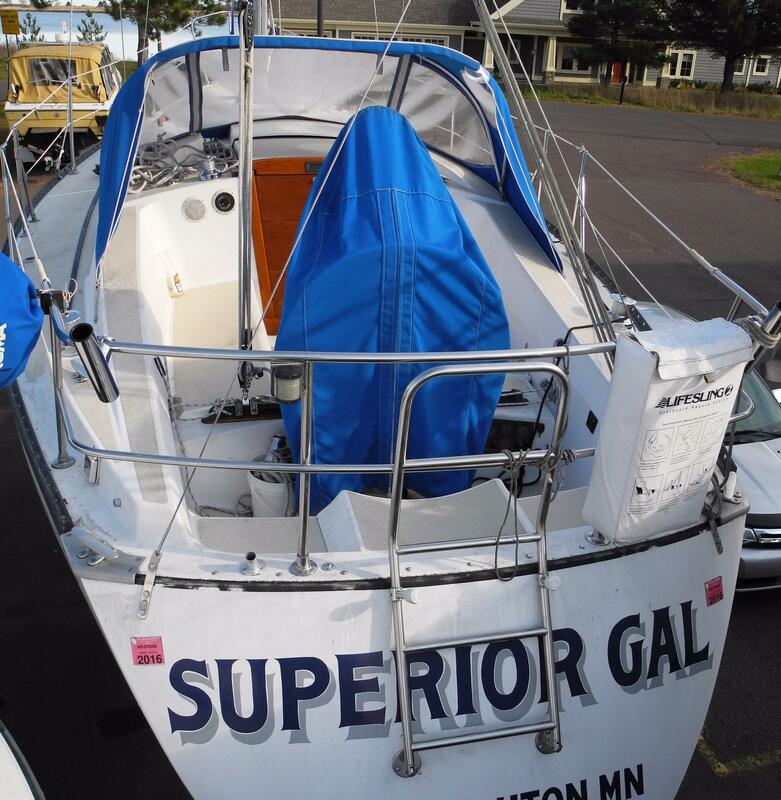 The vessel offers many stowage areas and six feet of headroom. 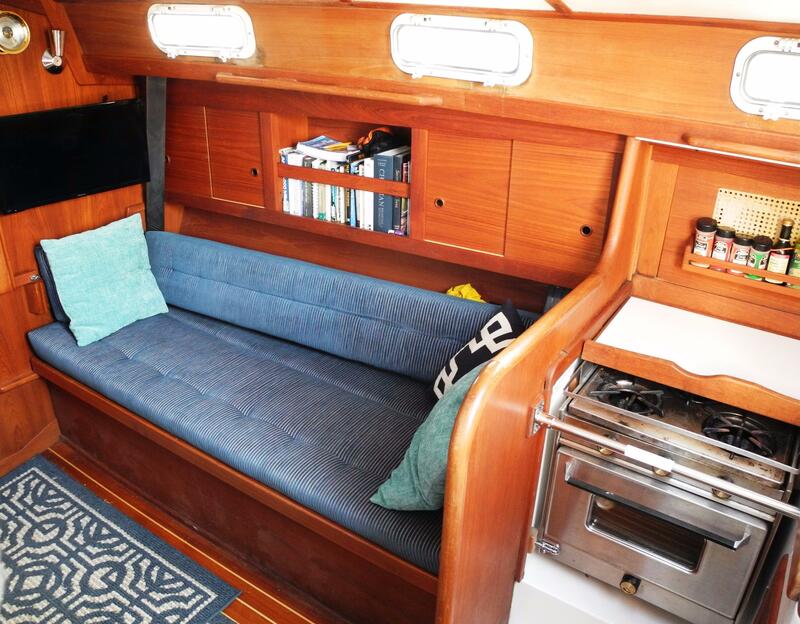 The V-berth is 6'4" and is large and roomy. 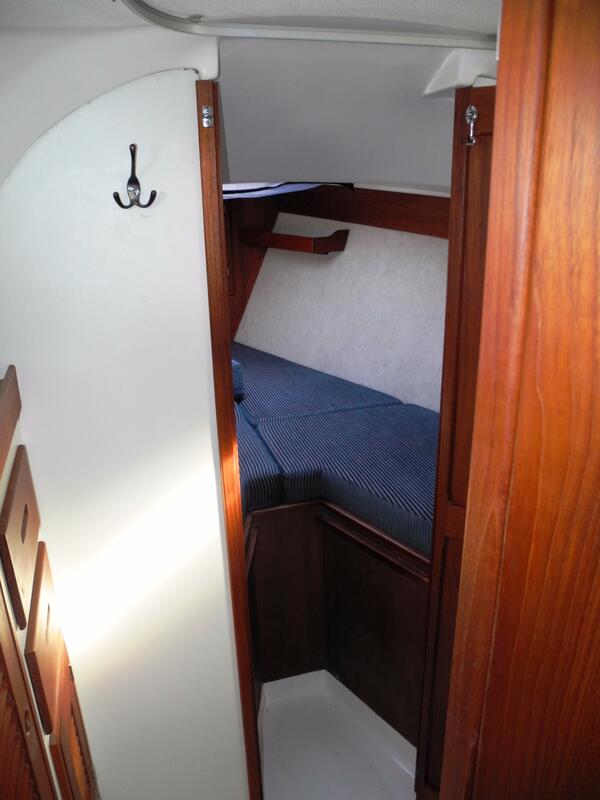 Just aft is the head and vanity that are privately enclosed from the forward and main cabins. In the main salon to port is a single berth as well as a pilot berth outboard. 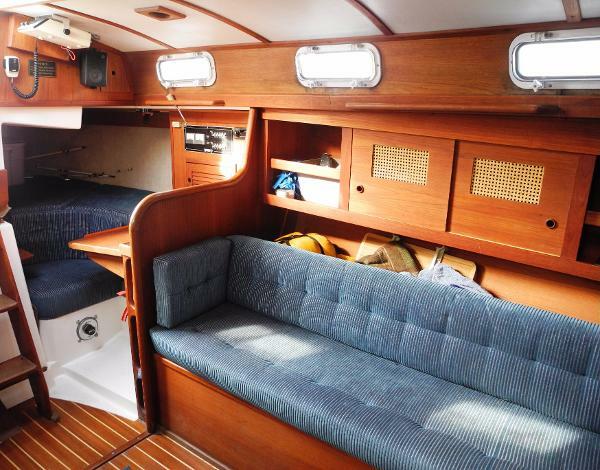 On the starboard side, the settee converts into a double berth. 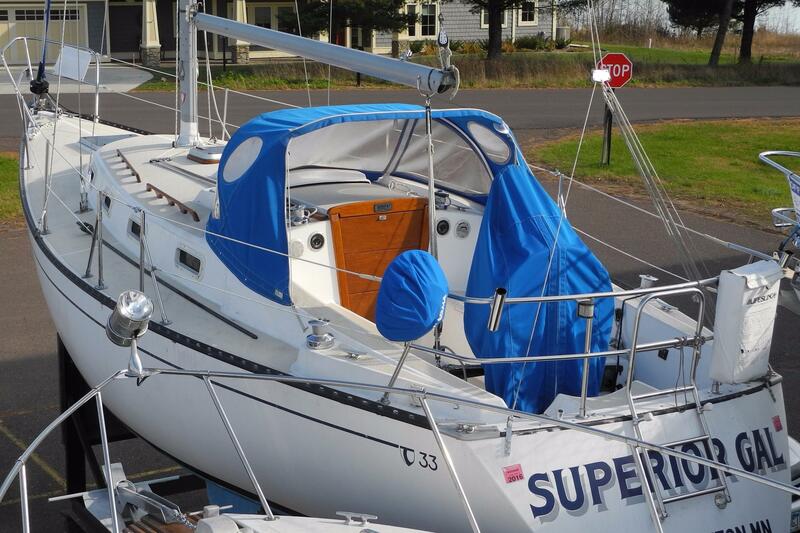 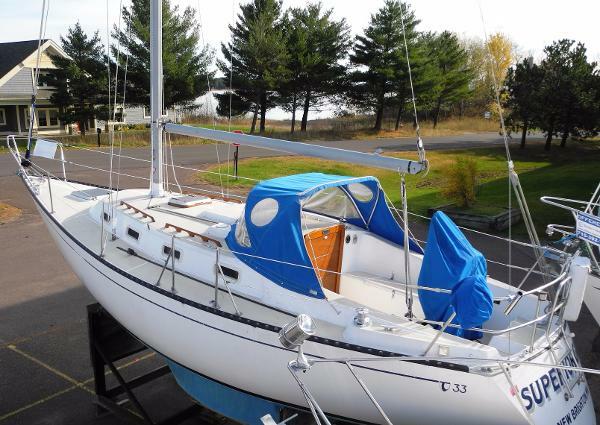 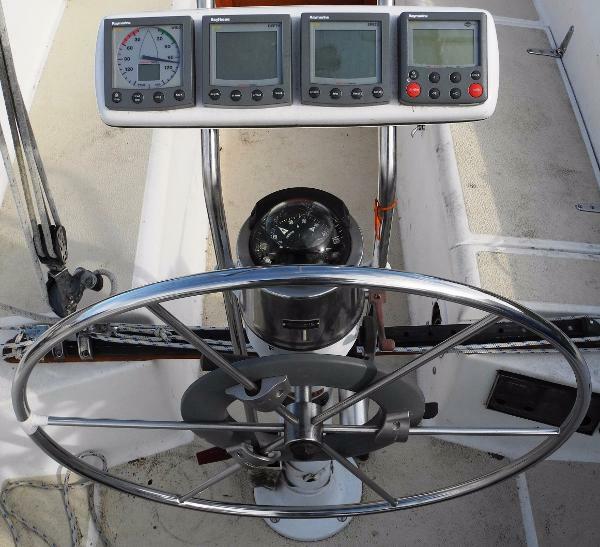 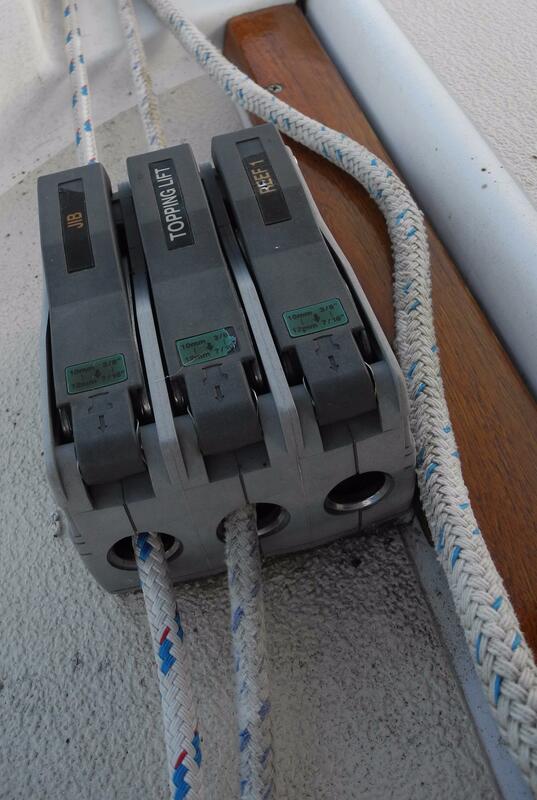 The quarter berth is a double and lies just aft if of the nav station. 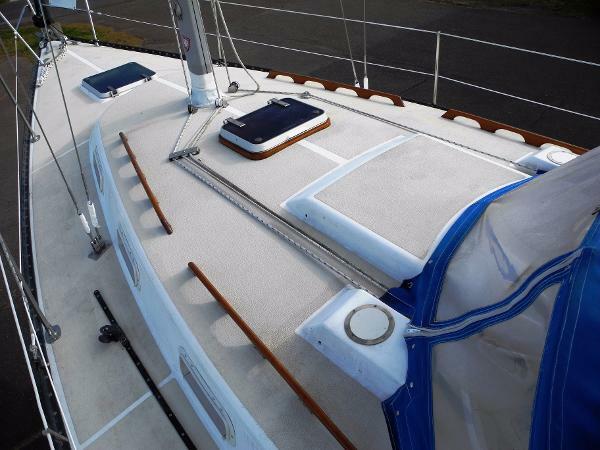 The table seats five and folds up to the bulkhead when not needed for added room. 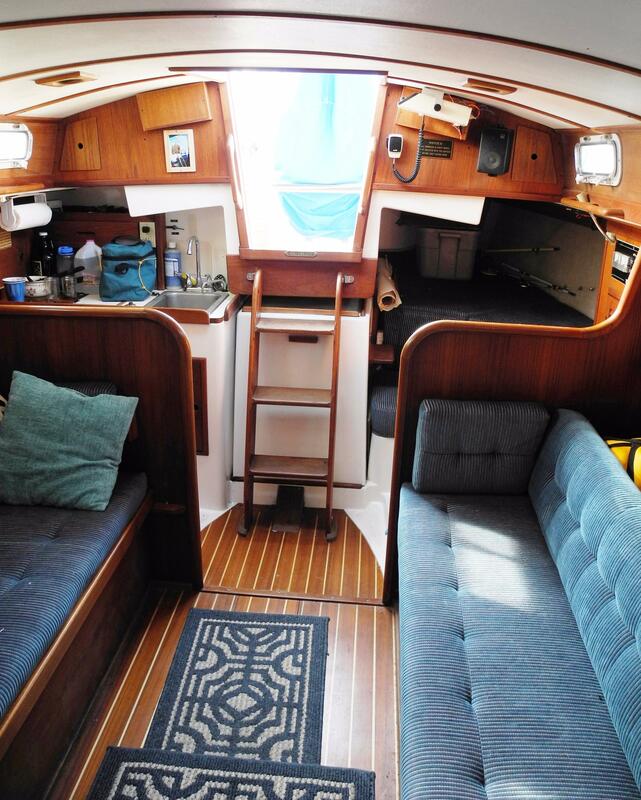 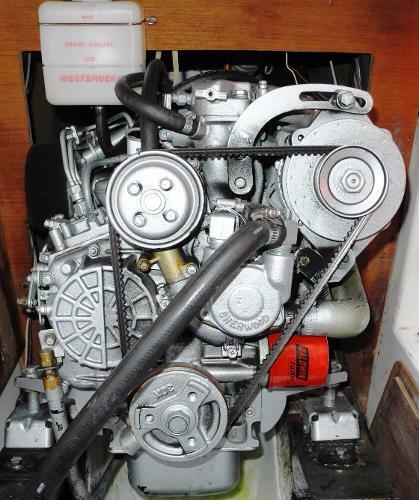 The galley has a deep stainless steel sink with pressurized hot and cold water and also has a secondary hand pump. There is also a gimballed alcohol stove and oven. 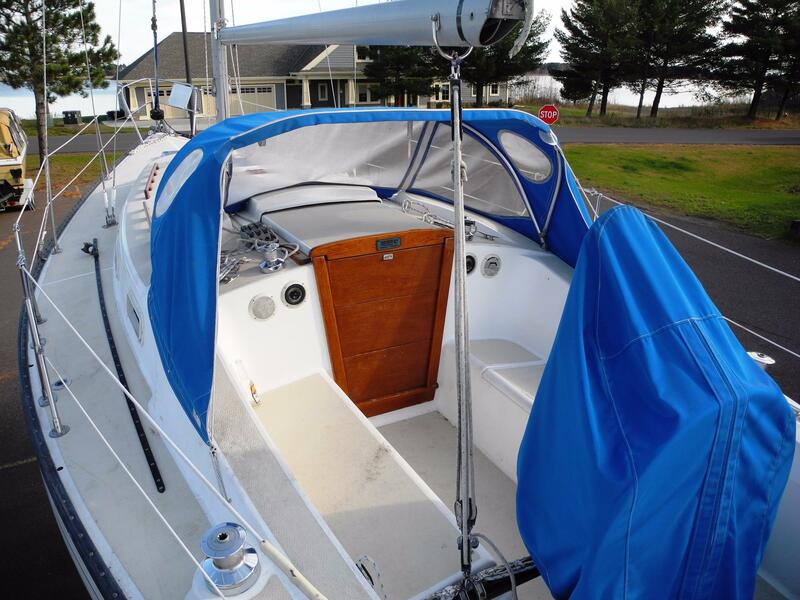 North Mainsail with two reefs and blue sail cover.